For the second year in a row, Verve Coffee Roasters in Santa Cruz have wrapped their limited Gesha offerings in lovely cans that reflect just how special these coffees are. 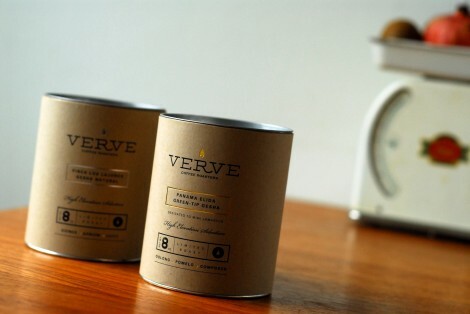 While I won’t be reviewing the coffees, which Verve was kind enough to send all the way to Sweden, but I will say that they were two of the finest I’ve tasted in 2012. 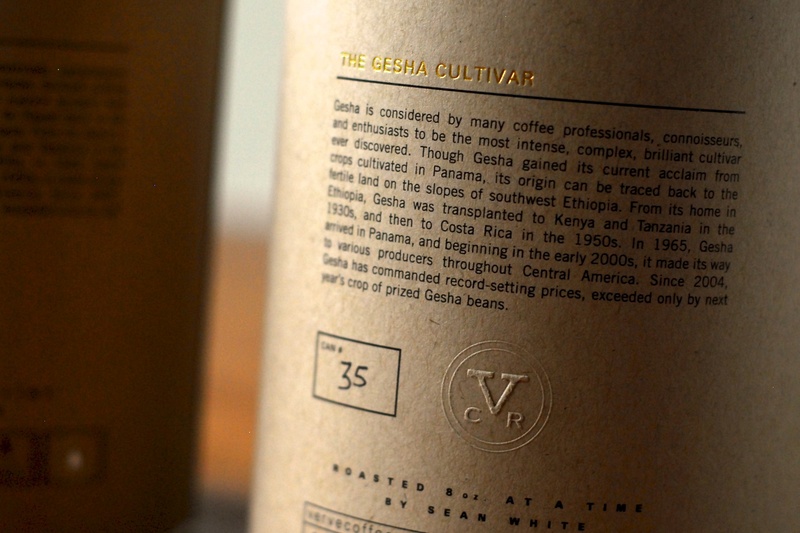 Gesha (or Geisha) coffee is a variety of coffee cultivar that is known among coffee connoisseurs as one of the most unique and complex coffees available. Excluding the immoral and over-hyped coffees that are extracted from animal poop, Gesha coffee is the most expensive in the world. In 2010, Gesha from La Hacienda Esmeralda set a new record at auction with a price of $170/lb. for green, unroasted beans. Last year’s cans were dressed in black, but this year they’ve taken on a lighter tone, adding a new level of elegance to the industry common theme of black-on-craft aesthetic. 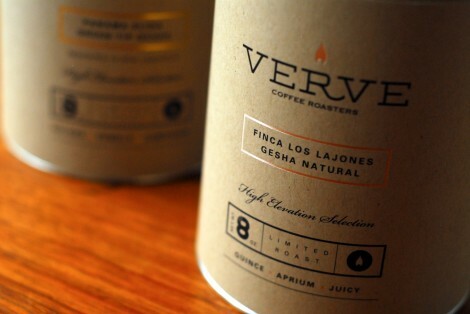 The labeled cans are letter pressed, foil-stamped and hand numbered, but are beautifully simple and refined, contrasting the complexity of Verve’s standard bags. The cans remind me of whiskey bottles that often come packed in elegant tubes to better protect the luxurious products inside. 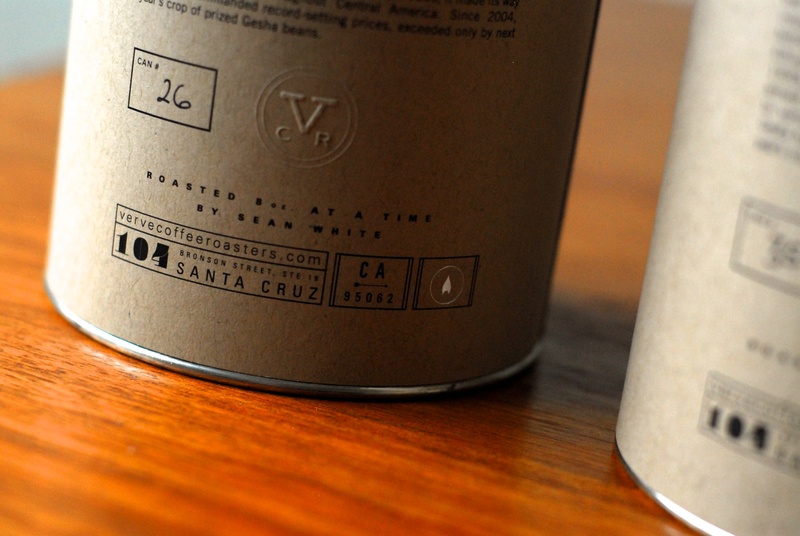 When you’re paying $45 to $65 for half a pound of the world’s finest coffee beans, the buyer may expect more than just a different sticker on a standard coffee bag. While others have used glass jars in equally elegant ways, these cans create the same impact without greatly affecting the shipping weight. 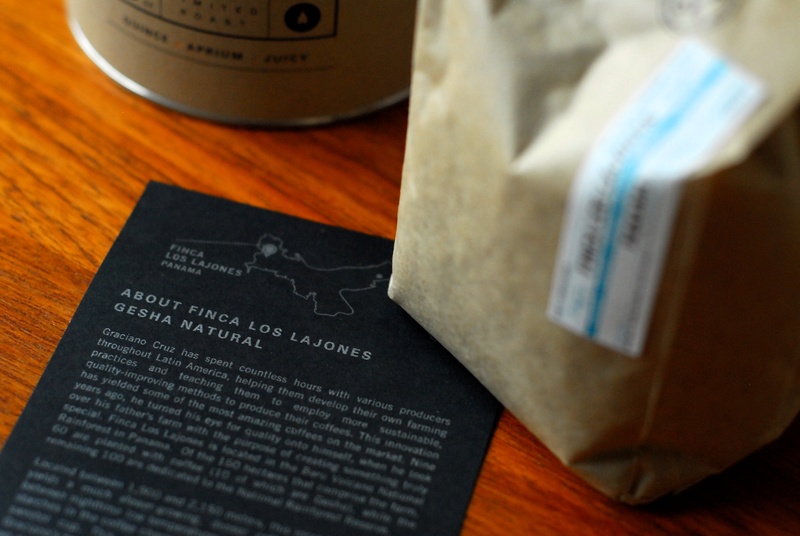 Investing in design to better communicate the value of your product is a great way to change the perceptions of those who see coffee as a cheap commodity with no difference in quality, no matter where it comes from. 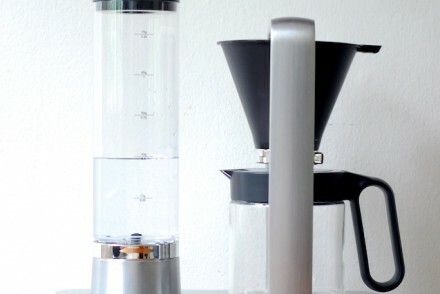 If specialty coffee truly is special, it should begin to look and feel that way more often than it does now. These are great! Counter Culture did something similar with their Variety: Gesha series. 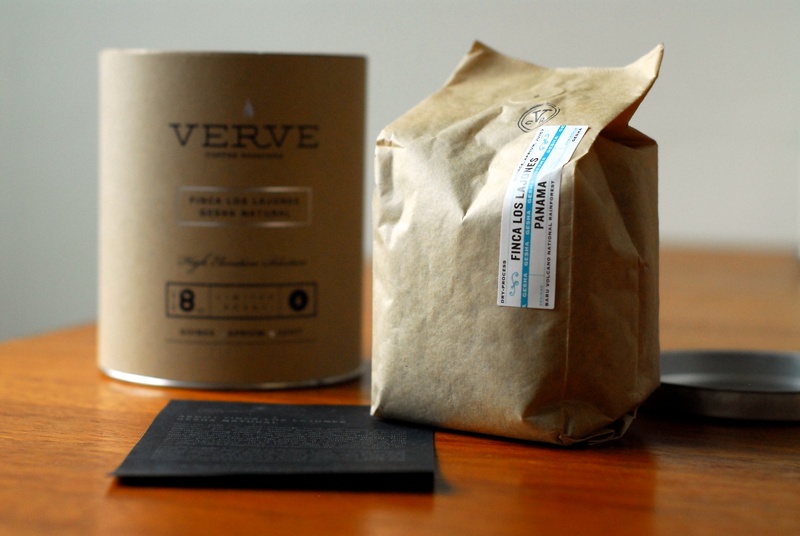 It’s nice to see coffee companies go the extra mile with design/packaging. More compelling for me was their tins of Guatemala Finca El Injerto Capadocia Peaberry … Guatemala CoE ftw.